Exercising regularly is a must to keep your body health and robust. 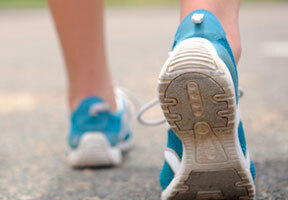 In addition to keeping your body fit, regular exercise is equally important for your mental health. The natural surge of endorphins occurring during exercise acts as your own natural anti-depressant. According to the Heart Foundation of Australia, cardiovascular disease, which is the general term for diseases of the heart and blood vessels, is the leading cause of death in Australia. Roughly a third of deaths in Australia are attributed to cardiovascular disease. Several risk factors have been strongly linked to cardiovascular disease. Do some sort of physical activity for at least half and hour on most days – the more fun it is, the more likely you will keep doing it. Try swimming, dancing or walking. Limit alcohol to 1-2 standard alcoholic drinks per day with 4 alcohol-free days per week. Asthma is a condition that causes the airways in the lungs to become swollen and inflamed, extra mucousy and the muscles around the airways tighten. Asthma can begin at any age and may change over time, however it typically begins in childhood. Not all people will have the same triggers and it may be difficult to identify what triggers your asthma. 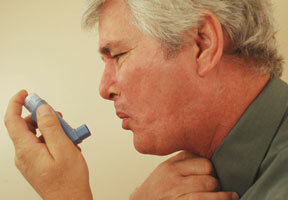 Your GP can assist you with identifying your asthma triggers. This is helpful in order to avoid any reactions. **Please note these are general recommendations only, and are not intended to replace the advice of your doctor, health practitioner or pharmacist. We highly recommend that you contact your preferred medical practitioner for further testing if symptoms persist. Diabetes is a chronic condition (long-term) where the body does not produce enough insulin, or it does not use the insulin it has effectively. Insulin is a hormone produced by the pancreas that converts glucose (sugar) into energy from the food we eat, which is vital for growth. So when individuals with Diabetes eat foods containing glucose (eg. bread, cereal, pasta, rice, fruit, legumes, starchy vegetables, dairy products and anything containing sugar), the glucose can not be converted into energy and it stays in the blood. This is why individuals with diabetes often have hyperglycaemia, or high blood glucose levels. Type 1 diabetes - pancreas produces no insulin. 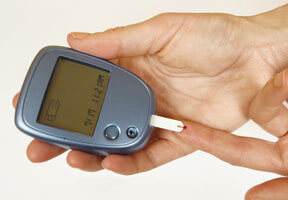 Type 2 diabetes - pancreas doesn't produce enough insulin, or it does not work effectively. Gestational diabetes - higher than normal blood glucose levels around the 24th to 28th week of pregnancy. The exact causes of type 1 diabetes are unknown, however it is known that there is a strong family link and that it has nothing to do with lifestyle (although maintaining a healthy lifestyle with type 1 diabetes is important). Maintaining a healthy diet and lifestyle is crucial for managing diabetes. Certain medications, insulin and regular blood glucose monitoring may also be necessary so it is important to speak with your GP and an Accredited Practicing Dietician to develop the best plan for you.